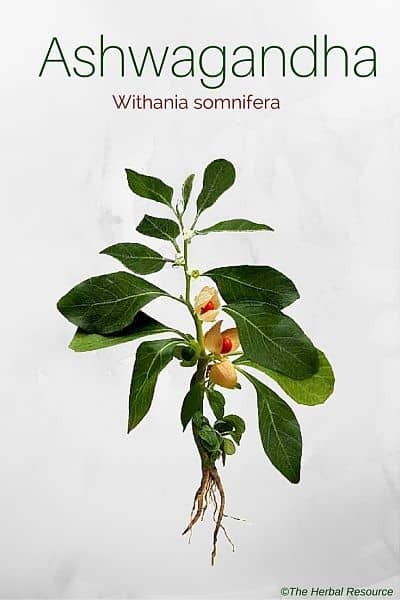 Botanical Name of Ashwagandha: Withania somnifera. The ashwagandha root is often referred to as the “Indian ginseng” because it is used in a similar way in Ayurvedic (Indian) medicine as Panax ginseng is used in traditional Chinese medicine (TCM). The herb has been used for more than 2500 years to restore overall health and increase longevity. The Indian or Hindu common name ashwagandha (Sanskrit), translates roughly to “the smell and strength of a horse,” referring to the plant’s alleged ability to enhance sexual vigor. Some of the following uses or alleged benefits are solely based on traditional uses while other applications have, to some extent, been supported by scientific evidence. The herb also has a reputation as an aphrodisiac both for men and women and is believed to protect against infertility in men. The herb has mild sedative properties and is thought to promote restful sleep. This use is reflected in the scientific species name somnifera (= soporific). Extensive research on the health properties of the herb has been done in India over the years. Other studies have shown that the withanolides, compounds not unlike the steroid hormones found in the human body, have an anti-inflammatory effect and may limit the growth of cancer cells. This unique ability to protect healthy cells while at the same time making tumor cells more susceptible to treatment could make ashwagandha valuable tool in the fight against cancer. However, additional studies are needed to determine whether these beneficial properties can be exploited in any practical way as a cancer treatment in the future. Animal studies have shown that ashwagandha root can limit the cell damage by free radicals due to its antioxidant effect. The plant may, therefore, prove useful as a treatment for chronic inflammatory diseases such as lupus and rheumatoid arthritis. Trial studies from the 1980s showed that the plant did increase hemoglobin levels and that it may help patients to recover faster after a prolonged illness. Ashwagandha root is used in Ayurvedic medicine for its restorative properties, and it is used as a remedy for inflammation, psoriasis, bronchitis, asthma, ulcers, hypertension and intestinal worms. In Ayurvedic medicine, the herb is often used in a decoction with milk, raw sugar, honey or rice. In Europe, the USA and Canada the herb is mainly used for its energy and endurance-boosting effects, and it has become popular as a health supplement in many sports-related activities such as bodybuilding. It is also used to speed up recovery in the elderly and chronically ill, and the high iron content of the herb makes it a useful remedy for anemia. External Uses of the Leaves: Although it is mostly the root that has been used as medicine the leaves have been used externally as a poultice on swellings, injuries, burns, insect bites and stings and snake bites. Ashwagandha contains steroidal compounds such as lactones, withanolides (withaferin A, sitoindoside IX, X) and acyl steryl glycosides. 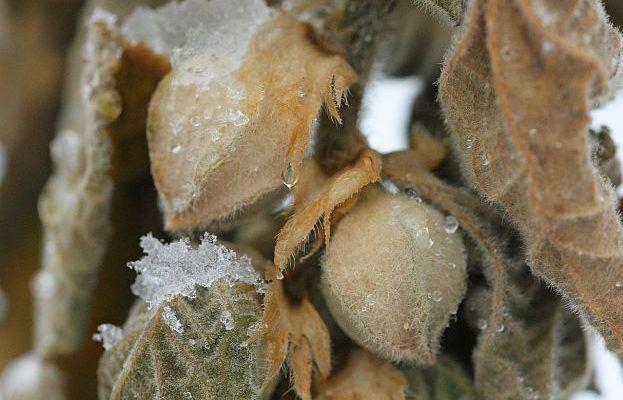 Also, the plant contains various alkaloids and has a high iron content. It is mainly the root that is used as herbal medicine. Standardized extracts and tinctures are made from the dried and pulverized root. Both the leaves (dried and powdered) and the berries can also be used as medicine, but it is not common. Today, ashwagandha root is available as a supplement in most health food stores. It can be used in a tincture, tea, powder and extract form. The following dosages have often been recommended in the herbal literature, but the manufacturer’s instructions should always be followed when using commercially made products. As capsules: 1 to 2 g daily. Standardized extract: 450 mg twice daily. Tincture: 30-60 drops three times daily. Ashwagandha does not come with many side effects and it is not regarded as particularly toxic, but if it (especially berries) is consumed in large quantities, it may cause stomach problems. It is considered safe when used as a medicinal herb in proper therapeutic doses. However, it should not be used by people who are taking prescription medication for anxiety or insomnia (barbiturates). Ashwagandha is not recommended for use during pregnancy and lactation. Ashwagandha is found growing wild in India, countries surrounding the Mediterranean, and western Asia. Today, the plant is cultivated for medicinal purposes in many countries with suitable climate, particularly in Australia, East Asia, and Africa. 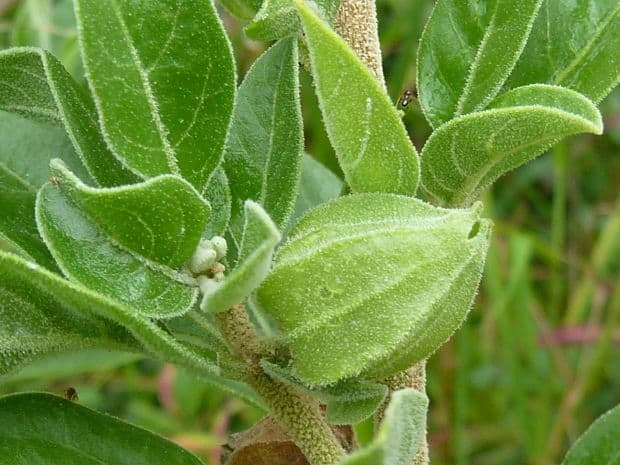 Ashwagandha is an evergreen shrub-like plant that belongs to the Solanaceae, or the nightshades family. It can grow up to 2 feet in height. Its leaves are oval and succulent, and the small flowers are green or yellow. After the flowering, the plant produces red berries containing yellow seeds. The berry is encapsulated in a paper-like cup. Sturdivant, Lee & Tim Blakley: The Bootstrap Guide to Medicinal Herbs in the Garden, Field & Marketplace. Friday Harbour, San Juan Naturals 1999.